The 17MW Mithapur power plant, located in Gujarat and completed in 2012 is proof of our ability to provide quality power solutions that are innovative in design and are timely executed, thus providing value for all stakeholders. 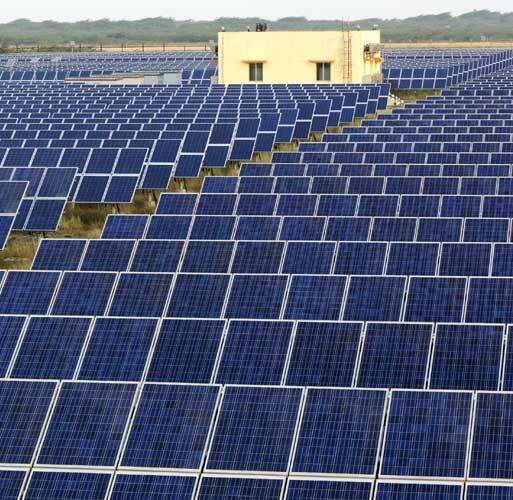 In an effort to fulfill its Renewable Purchase Obligation (RPO) a 17 MW solar power plant in Mithapur, Gujarat was built. The project was completed in a time period of 9 months and commissioned in January 2012. 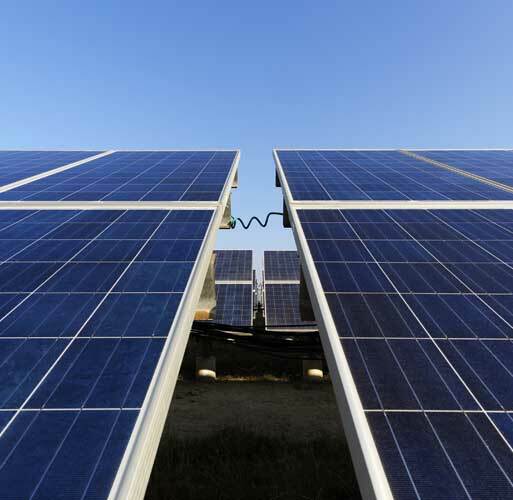 In its two years of operation, the project is performing at 83.80% performance ratio and generating more than 30 Million kWh of electricity per year. 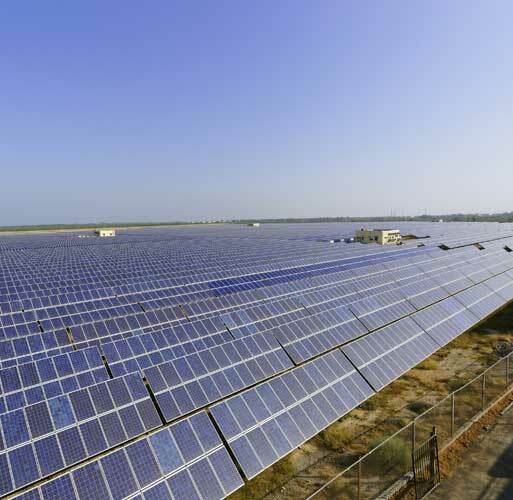 To overcome the glare provided by conventional solar panels, Tata Power Solar designed and implemented the use of solar panels with Anti Reflective Coating and reducing any risk to flight operations near the Mithapur airstrip. The design involved several nonstandard rows that accommodated 73,920 modules while minimizing DC losses. 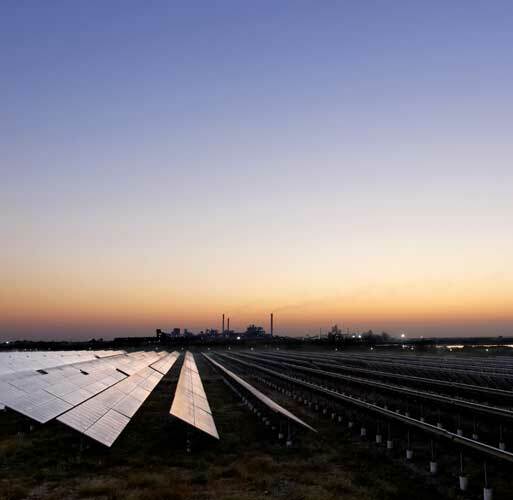 With this, Tata Power Solar achieved an effective landscape utilization of less than 4.2 acres per megawatt as against the standard 4.5 acres per megawatt. To tackle corrosive soil and rough terrain, engineers dewatered each of the 13,440 plant foundation pits, provided mechanized concrete foundations and customized pillar heights. The structures were coated with a special epoxy and hotdip galvanized coating to ensure longer life and protection from corrosion. 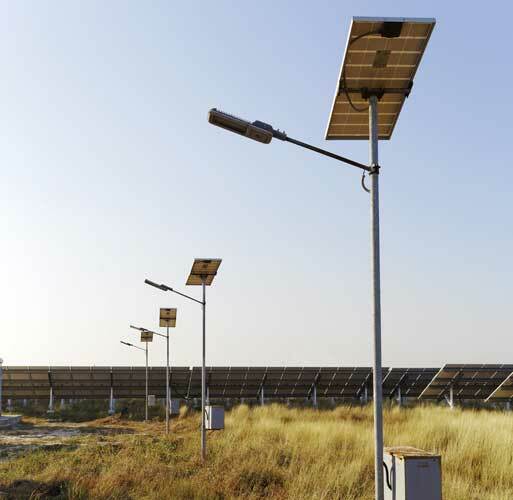 Tata Power Solar filtered the voltage fluctuations with the help of an inverter. 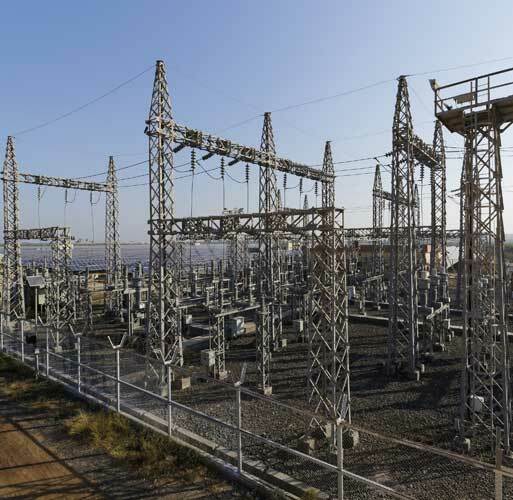 It also implemented a block power evacuation concept to independently test and transmit generated power from the plant in blocks of 4 MW and above to the plant switchyard.